Battle Group Commander: Episode One is the first title in an exciting new series of modern land warfare simulations from the masters of the genre, ProSIM Company. A Battle Group is the British Army term for a battalion-sized formation that brings together armor, infantry, artillery, and other assets into a combined arms team. 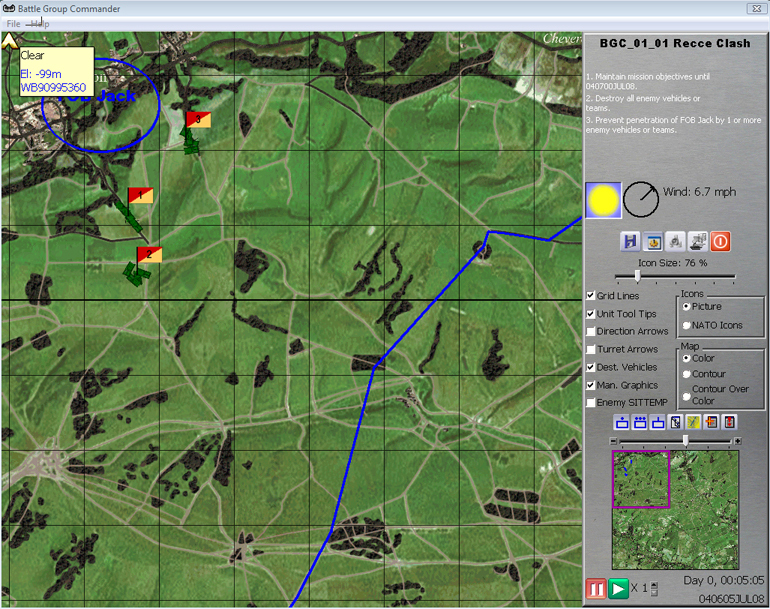 This game pits a Battle Group against a Soviet-style enemy in the Salisbury Plain Training Area of England, as players wage war against forces of the former Soviet Union across four exciting scenarios. Combining high fidelity gameplay with an attractive price point, this is the perfect introduction to the world of ProSIM. Driven by the acclaimed Air Assault Task Force engine, Battle Group Commander: Episode One is a real time (or as ProSIM refers to it, command real time) simulation of tactical modern conflict that's as close to a professional grade simulation as one will find commercially available. As a virtual commander the battlefield is yours to command. From individual vehicles to entire companies, the Air Assault Task Force Engine powering Battle Group Commander: Episode One allows you to use an intuitive control scheme to micromanage or command at the battalion level as you see fit. . 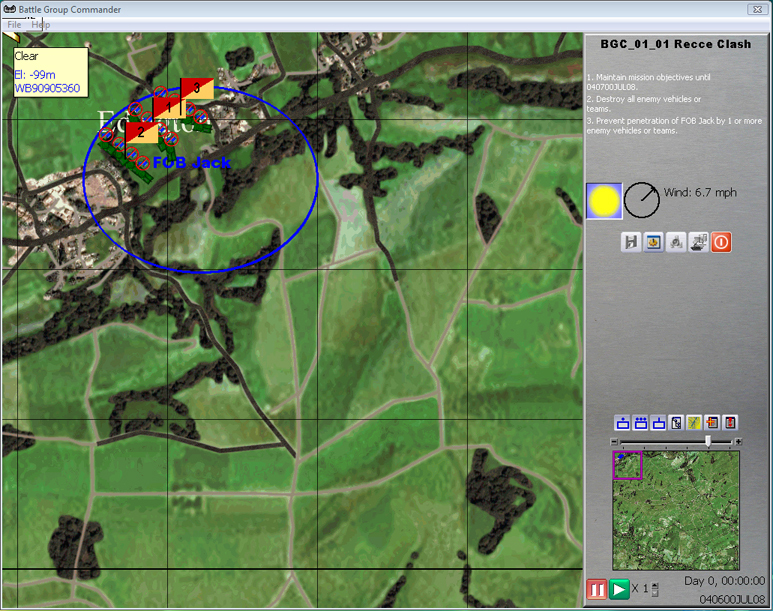 Maneuver your forces on a digital representation of the real Salisbury Plain Training Area rendered down to only a few meters resolution. Combat is modeled just as faithfully as terrain, with detailed databases of real world fighting forces to fight with, and against. Unlike many other titles the detail doesn't stop with the caliber of cannon or thickness of armor, but extends to such factors as how quickly a vehicle can become underway from rest to the time it takes between calling in an artillery strike and when the shells actually start falling. 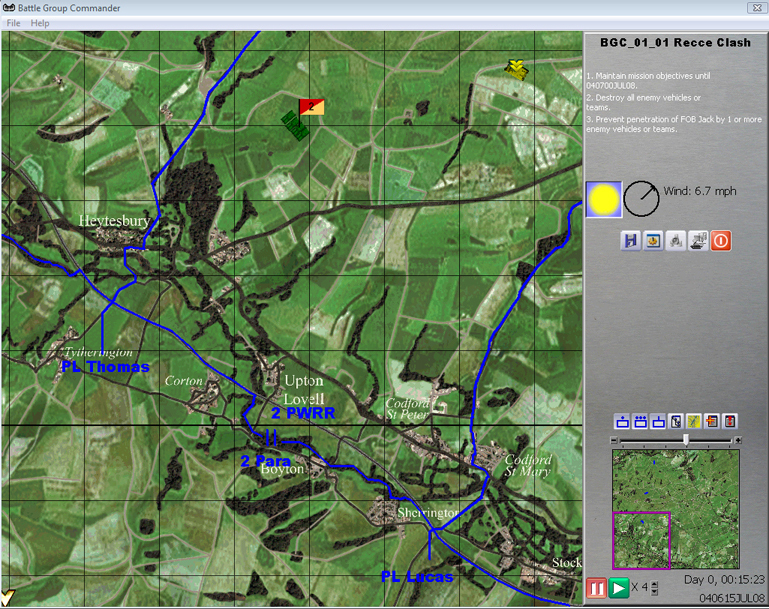 Unlike many so-called real time games in Battle Group Commander: Episode One real time means real world time, and players will soon learn the importance of understanding and exploiting battlefield synchronicity. Battle Group Commander: Episode One is playable against other live opponents or the relentless AI. A computer foe that actually puts the intelligence in AI, each scenario boasts several different AI sets ensuring plenty of replay for the single player gamer. As an introduction to realistic real time wargaming new players will enjoy an informative streamlined manual, web-based tutorial, and pre-set scenario plans, allowing the transition from cadet to veteran commander to be seamless. 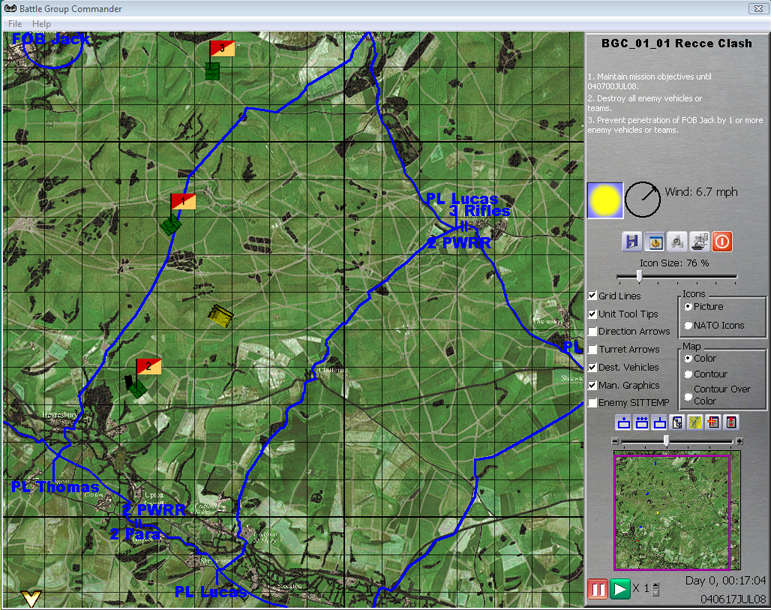 Veterans of ProSIM titles can of course jump right in and face the challenges of the Salisbury Plain. 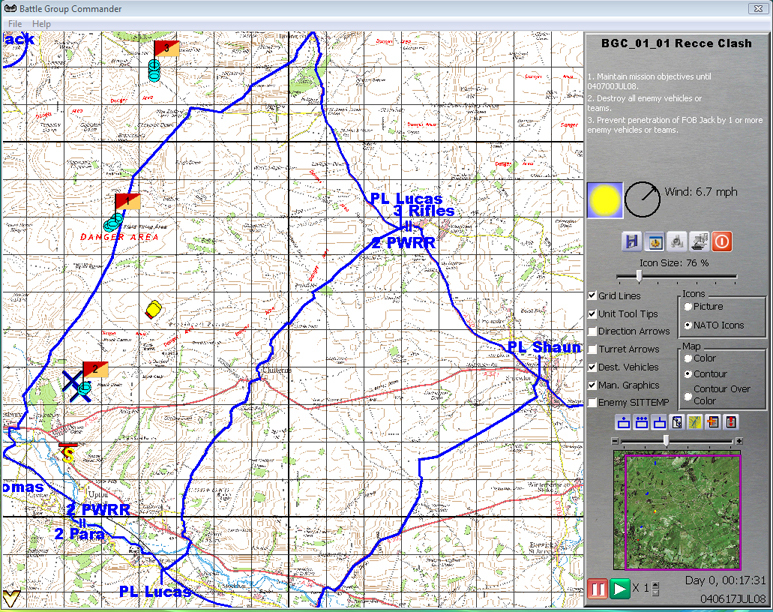 Owners of Air Assault Task Force also receive the benefit of the addition of the British unit database and the Salisbury Plain map for creating new scenarios in Air Assault Task Force. Or, you can install Battle Group Commander over your older Armored Task Force Engine games and instantly upgrade them to the new engine! 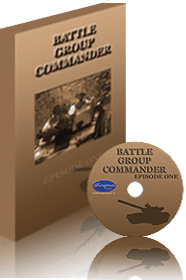 Battle Group Commander: Episode One provides a lot of simulation for a little bit of money. Whether you're new to conflict simulation gaming or looking to expand your Air Assault Task Force experience, Battle Group Commander, Episode One is a perfect addition to your electronic arsenal. - Tactical modern warfare simulation gaming from ProSIM, the undisputed kings of simulating the modern land battlefield on the PC. - Real time (aka command real time) pause-able gameplay. 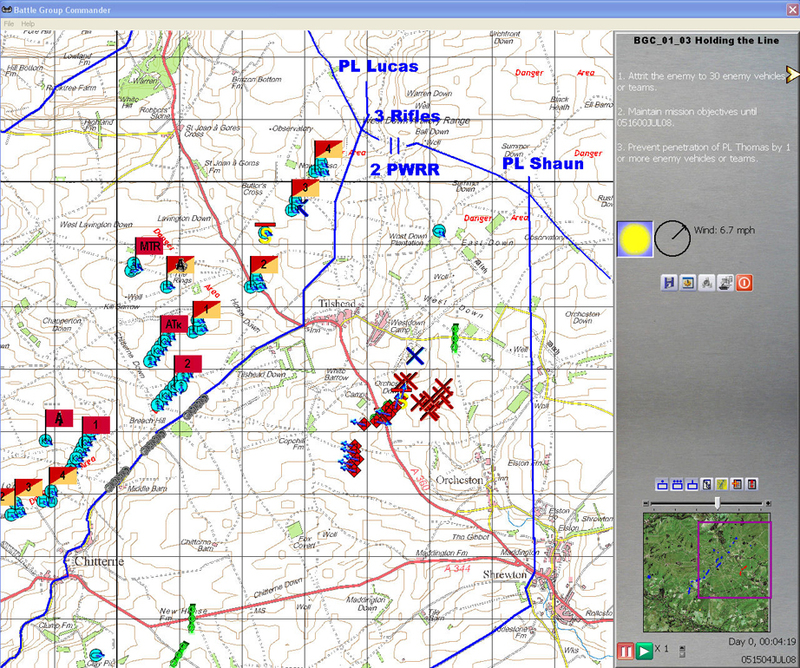 - British Army versus former Soviet Union forces on the Salisbury Plain Training Area in England with an extensive unit database. 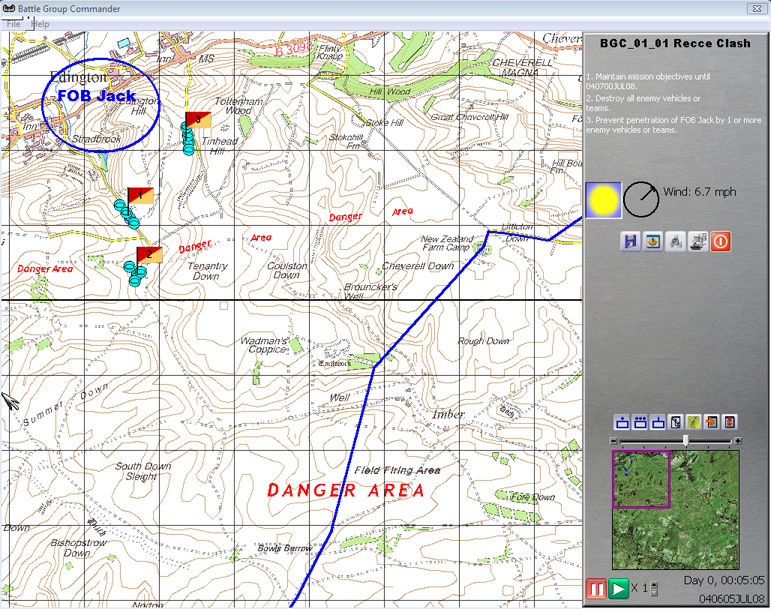 - Designed for both newcomers and long time ProSIM fans. - Playable in either full screen or windowed mode, with support for resolutions up to 1280x1024. 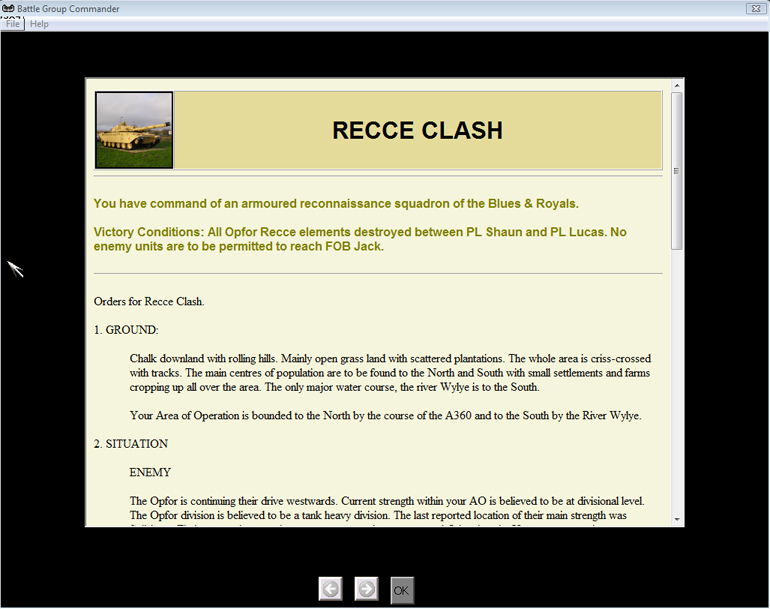 - Four scenarios with multiple enemy AI plans for each scenario for maximum replayability. - Single player or multi-player. - Fully compatible with Air Assault Task Force AND Armored Task Force. 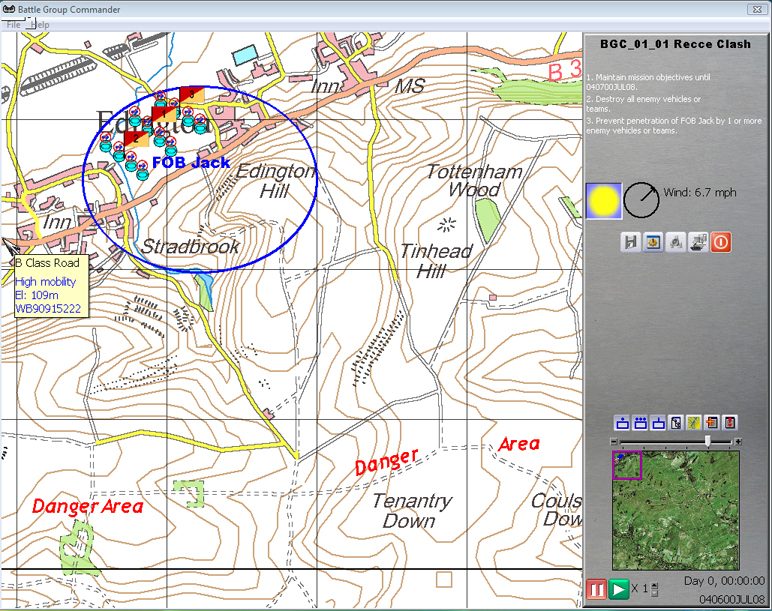 In fact, installation with Air Assault Task Force allows the user access to the British unit database and the map found in Battle Group Commander, Episode One, with both the units and map usable in scenario creation. - All the great features found in Air Assault Task Force: real world digitally rendered terrain, individual weapon destruction, individual buildings, intuitive GUI, and much more. 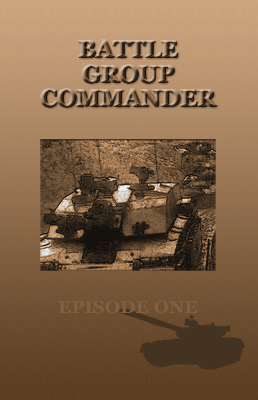 NOTE: Battle Group Commander, Episode One does not include a scenario editor. - Online tutorial and comprehensive electronic manual. - Big gaming on a small budget!